ONLY 24 DAYS ‘TIL CHRISTMAS! Omgomgomgomgomgomg. My favorite holiday is almost here, and it’s officially December which means I’ve already been playing Christmas music for a week I can really get my holly jolliness on! Until then, however, I thought I’d try to get into the spirit (of getting presents) and do what every other blogger is doing: post some of the things that made my Christmas list this year! After all, what’s more fun than making lists of stuff that you want and will probably never get? Granted, some items are more realistic than others, and hey! You never know… one of these years Santa might decide I’ve been really good, and get me that outrageously expensive dutch oven or that Kate Spade handbag to add to my “collection“. Hope springs eternal! In the spirit of full disclosure and not wanting to be totally skeevy, please note that some of the links below may contain affiliates. Because my obsession with sparkling water wasn’t clear enough, right? Ha! I have been obsessing over getting a Sodastream forever, but I’ve held off (which, given my penchant for retail therapy despite that whole debt situation, is something to be commended, no?) I don’t even care about all the soda syrups and mixes and whatnot. 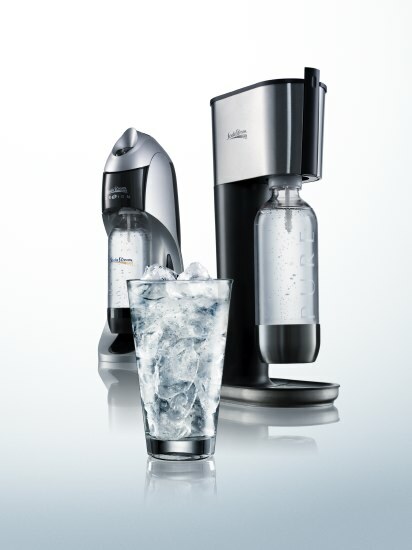 I just want something to make my water fizzy. 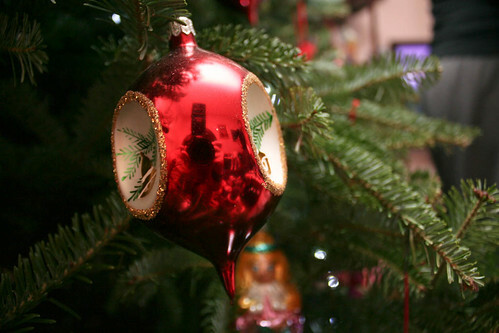 So if Santa feels like putting a full-sized tank of CO2 under the tree, I suppose that’d be okay too. Fizzy water FTW! What self-proclaimed foodie’s Christmas list would be complete without a Vita-Mix? I have heard nothing but amazing things about these high-speed, industrial-strength blenders, and for the price tag on them (upwards of $400!) they’d have to be. It’s been on my list for the past two years. It wouldn’t be the prettiest addition to my counter (which is already filled with more kitchen gadgets than I’d like to admit), but I’ve heard they can pulverize pretty much anything. In fact, word is that you can throw whole fruits and veggies in there and it will puree them so finely you can drink them like a juice, but with the fiber still included! Which probably would mean I could finally give my mom her juicer back. In case you had forgotten what the state of my current computer is, it ain’t good. There is a glorious collection of spider cracks sprinkling down it’s sad, sad screen due to a spastic kick and my habit of keeping my laptop on my bed. So, for the past 6 months I’ve been working with a broken screen and a system that can’t really handle the amount of time I spend in editing photos. Oh, and the battery doesn’t hold a charge anymore. Womp womp. Suffice it to say, I would really like a new one. But alas, I have to accept the reality that, barring any unforeseen lottery wins or leprechaun befriendings, I will probably not end up with a $1,800 ‘pooter in my stocking. Le sigh. Well, this is kind of a gimme. I mean, I love Harry Potter. You know this. And since the deluxe box set of all 8 movies won’t be released until sometime next year (oh, the humanity! ), I don’t want anyone spending their money on me procuring the dinky little set that is currently out, since I’ve already got all the individual movie anyway. So I just need want the last movie to watch over and over and over, until said deluxe set comes out. ‘Cause, you know, I definitely did NOT see it four separate times in the theatre. Nope, not me. 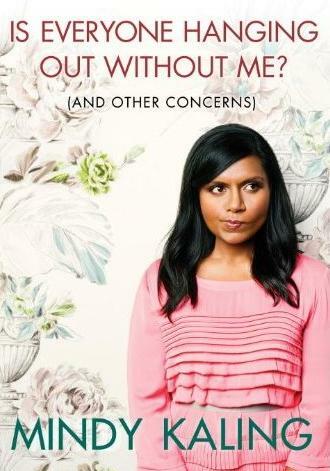 I’ve heard nothing but awesome things about Mindy Kaling’s hilarious book, and they were only confirmed after reading an excerpt from it on Glamour (so funny and SO true!). Other “literary” items on my list include the Parks & Recreation book as well as the second volume of the Twilight graphic novel. Yes, I already own volume one. DON’T JUDGE ME. EEEEEEP! These also exist! Thanks to Mandee for letting me know about these… if I get them I guess I can finally stop tying Harry and Daxter around my ankles as a stop-gap! I mean… what? So there you have it, a sampling of the things I’m hoping Santa will drop (gently) down the chimney this year. Nothing like a wish list to get yourself in the spirit, right? Just wanted to share with you that I purchased the full Harry Potter series on Blu-ray (region free) from amazon.co.uk for 30 pounds (which is roughly $47). 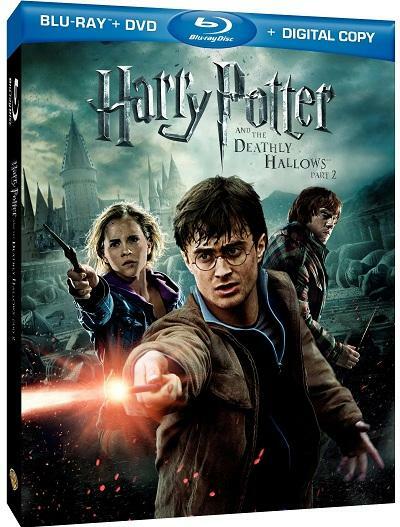 Here is the link…http://www.amazon.co.uk/Harry-Potter-Complete-Collection-Blu-ray/dp/B00543RC0Y/ref=sr_1_sc_1?ie=UTF8&qid=1322744767&sr=8-1-spell. So in case you don’t want to wait until next year AND you want to spend less $$ on Blu-ray you might want to check it out. Just for the record, I live in Florida…I’m just cheap and like you, already own 1-6 on regular ole’ DVD and didn’t want to spend loads of money to replace them all with Blu-ray copies. Region free Blu-ray discs work on most American Blu-ray machines. If mine don’t work on our PlayStation, I’ll let you know! I hear that Apple is redesigning all of their computers in early 2012, so I’m going to hold off on the imac/laptop anyway (I have a Macbook Pro from ’06 that is a dinosaur not). Have you heard anything about that? You know, now that you mention it I do think I’ve heard something about that. Well, it’s not like I’ll really be getting a new computer for Christmas, so maybe by the time they’re released I’ll actually have money and can get a new-new one anyway! Really? From where? I’m holding off on my MacBook purchase until late January or early February (or whenever Uncle Sam decides to give me my tax return) but I guess I could wait a little longer if it means not buying the old model 2 weeks before the new model comes out. My husband says he heard early 2012- Feb. or March. I’ll try to find some official word on it. Of course, Apple releases new versions of their products EVERY year, but apparently this one is supposed to be a major overhaul. The Pro was just updated in October and should only get a new video chip in 2012. Supposedly. Apple is so secretive! The Air that’s out now is already pretty great (esp. in comparison to the 1st gen. Air, so I wonder what kind of revamping they’d be doing! Apple is so magical. My birthday is this Saturday and I’ve asked for money only so that I too can buy a new camera to give myself for Christmas! Yay! What camera are you thinking of? Happy birthday to you! Its my birthday as well on Saturday. Best day of the year! Happy early birthday to both of you! I splurged and got a Soda Stream earlier this year (the totally bottom-of-the-line one) and I am absolutely OBSESSED with it! I don’t use any of the flavor things & just make bubbly plan water. Of course I started off innocently with just a can or two of sparkling water a week…then before I knew it it was 4 or 5 cans a DAY…I decided it was just too much garbage. I definitely think the initial “investment” is worth it just because we’re not going through so many cans/bottles each week now. How long do the CO2 canisters last you for? I did some very rough calculating before I got mine – it’ll take about a year to even out the initial $99 cost. But at only $15 per canister (you can trade them in at Bed Bath & Beyond for the discounted price…otherwise they’re closer to $30) it’s definitely a saver after that. My first canister lasted only about 1.5 months but I drank much more than usual because I was so excited to have sparkly water at my fingertips 24/7! I’m almost to 2 months on this replacement & there’s no sign of it running out yet. Bahaha, great minds think alike! LOVE the sushi slippers- totes awesome!!! I have a MacBook Pro and it’s the bomb digity, altough I am a little Mac biased since I’ve used one for almost the past 10 years and this my work computer, a PC, is a piece of… I drink probs almost a dozen seltzers a week, the soda machine would be so worth it! I read Mindy Kalings book while I was on vacation and seriously LOLed the whole time. I love QVC and they are constantly putting that Vitamix on there with all kinds of special QVC treats that come along with it (recipe books or special gadgets).. should your tree not be graced with that gift for Christmas this year, definitely keep an eye out on the Q for it! They also offer Easy Pay (interest free payment plan). The same computer is on my list. I currently have a 5 year old Macbook which gets the spinning ball of death every time I push a button practically. Of course, when I told my father that I wanted the computer, he said, “Umm, pick something else.” So I don’t think I’m getting it in my stocking either. Lol- I get the spinning ball of death, too. DRIVES ME NUTS!! I want a new camera and harry potter too! Oooh! Nice list! I have mine on Amazon…you can put non-amazon things on there and it’ll link you to the right site, I just learned this and it makes letting my family know what I’d like so easy! I have a T3i on my list too!! And, if I ever drive down to Florida again instead of fly I am definitely stealing my mom’s juicer. Hence why it’s pretty much separated into two different categories, hahaha. Stupid expensive taste. Nice list! I just got a Vitamix a few weeks ago. It is absolutely AMAZING! You are right, you can throw whole fruits in there and it completely vanishes. It’s great for smoothies. I also made powdered sugar out of turbinado sugar and cocoa powder from chocolate chips. You can make almond butter and banana soft serve…and holy crap the list goes on. It’s amazing. Anyway, I like your blog! 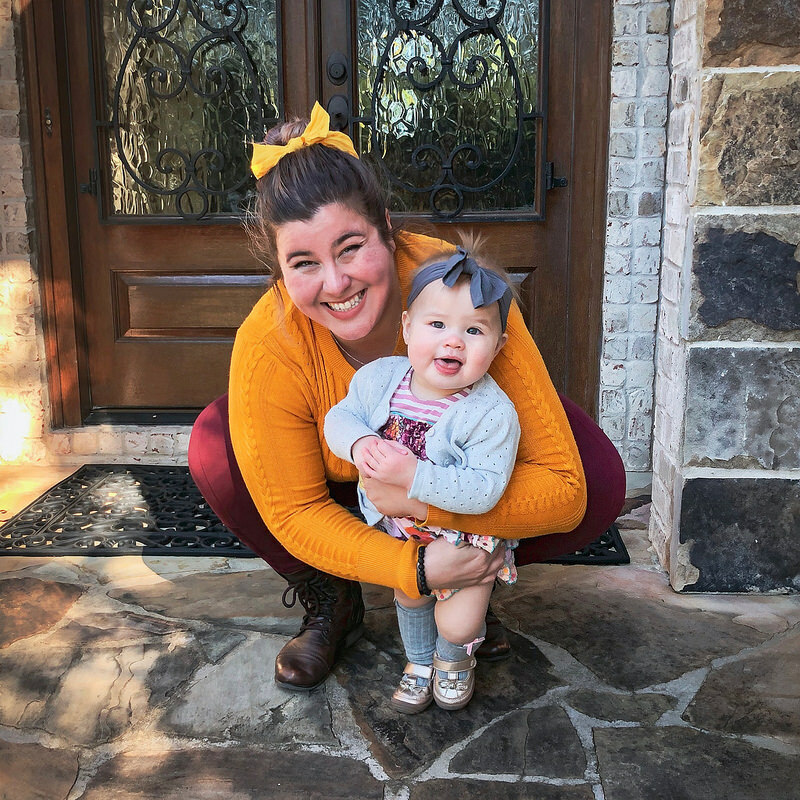 I’m a relatively new reader and really enjoy your honesty and humor. Oogh, I waaaaant. Thanks Prathiba!! Also of note, my very first Mac laptop (I had a 15″ PowerBook wwaaaay back in the day) found a similar fate to your computer. It was beside my bed. I had a bad dream. Fell out of bed. Onto laptop. I used that computer with only 1/4 of the screen crack-free for at least 18 months. If you’re going to upgrade to a new camera, you may as well go all the way. Don’t buy another Rebel! I’m begging you! There’s so much more out there that Rebel will never be able to offer you.